In Singapore a business with annual taxable turnover of more than SGD$1 million or when the business’ taxable turnover for the next 12 months is expected to go beyond SGD$1 million must register and apply for GST. A GST-registered business is required to charge and collect GST on its sales, and this can be offset against the GST it pays on its purchases before it accounts for the net difference to be either received from or paid to IRAS. Businesses need to register for GST within 30 days of the date on which their liability to apply for GST arises. It is not uncommon to have errors in GST reporting. Errors may occur at the transaction point or reporting point. Incorrect treatment of chargeable, exempted or zero-rated supplies made, may result in transaction errors. Miscomputation or incorrect recording of values from source documents may result in reporting errors. In order to ensure an error free GST compliance, the Inland Revenue Authority of Singapore (IRAS) introduced the GST Assisted Self-help Kit (ASK) initiative in April 2010 as a self-assessment package to help GST-registered businesses (GRBs). GST ASK is a self-appraisal exercise to help the GRBs verify the accuracy of their GST returns and help them manage their compliance. It helps to identify GST errors committed by GRBs and helps them qualify for concessions available under the Voluntary Disclosure Programme (VDP). The GST ASK is immensely helpful for newly GST registered businesses as well as companies that have been submitting GST for a long term. GST ASK comprises the following three key elements. GST Good Practices: Especially helpful for businesses that are planning to register for the GST and those that have registered for GST newly. It essentially contains guidelines regarding record keeping, deadlines, internal controls etc., that will facilitate flawless reporting of transactions for the purpose of GST. 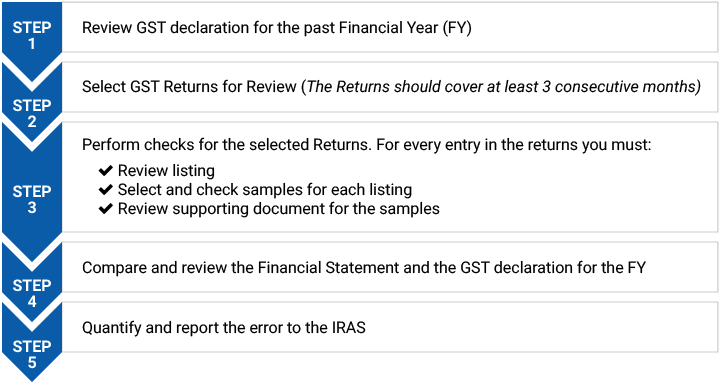 Pre –Filing Checklist: This is helpful for businesses that are filing their first GST return and for those businesses that have new business arrangement or change in personnel handling the GST filing. The checklists are a series of questions and answers that helps to ensure the accuracy of the GST filing. ASK Annual Review: This is meant for all GRBs and helps to review all past GST submissions made in the past financial years. This helps to verify if the treatment of transactions are accurate and if the documentations maintained are adequate. Besides reviewing the 12-month transactions, sample testing of three months transactions must also be done. What if Errors are Uncovered in the review? 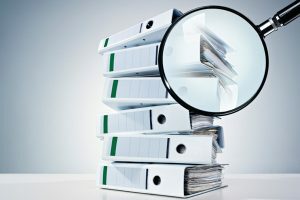 If errors are uncovered in the ASK review, the GRB must submit the findings to IRAS using “ASK: Declaration Form on Completing Annual Review & Voluntary Disclosure of Errors”. On receipt of the declaration and disclosure the IRAS may approach you for further clarifications. The IRAS will provide a GST assessment for the errors and advise you on how to rectify the errors. Hence a GRB must not correct its errors immediately upon completing the review or correct in the GST F5 return. It must wait for the IRAS directives. But in cases where the GRBs uncover errors in the past GST submission, before the review, they need not wait for the review to commence instead they must correct the errors by either submitting GST F7 Form for the affected accounting period or adjust the errors in the current GST F5 Form. Even if no errors are uncovered the GRB must still submit a declaration confirming its commitment to stay GST compliant. It must be noted that the GRB is responsible for the completeness and accuracy of the ASK Declaration even if the review is outsourced to an external ATA (GST) or ATP (GST). Why GST ASK Review is important? The GST is a self-assessed transaction based tax therefore the onus of filing correct GST lies with the GRBs. Businesses may be penalized for up to 200% of the tax undercharged for the submission of incorrect GST returns and be liable to a fine and imprisonment term. Businesses that commit fraud may be dealt with more severely. Under Voluntary Disclosure of Errors, businesses that report errors in GST may get a concession in the form of reduced or waived penalty. Subject to conditions IRAS will waive the 5% late payment penalty if businesses come forward voluntarily to disclose past errors, within one year from the statutory filing date of their last GST return in respect of the financial year reviewed. It is also required when you renew for IGDS, MES or ACMT. While the adopting GST ASK is not mandatory, GRBs adopting GST ASK Review will not come under the scrutiny of IRAS for compliance audit. On the other hand GRBs that have recurring errors may be directed by the IRAS to perform the review. 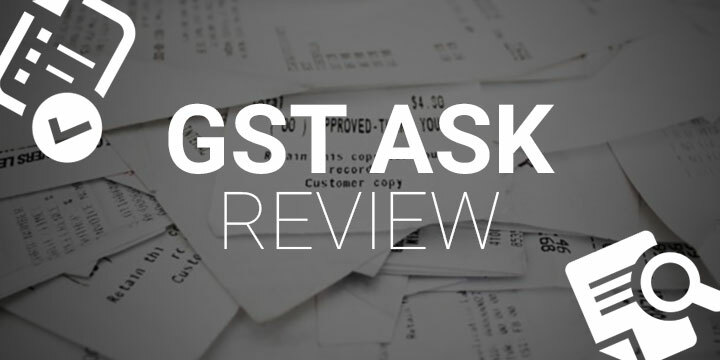 Who can perform the GST ASK Review? In cases, such as application or renewal of GST schemes, where the GST ASK review is mandatory the review must be performed by Singapore Institute of Accredited Tax Professionals (SIATP) such as an Accredited Tax Adviser ATA (GST) or Accredited Tax Practitioner ATP (GST). The ATA (GST) or ATP (GST) can be either external or in-house. The review can also be performed by the GRB but an external ATA (GST) or ATP (GST) must duly certify the review. Adopting GST ASK, promotes a greater understanding of treatment of transactions and documentation required for GST submission, among the personnel who are responsible for filing GST returns. It also promotes consistency in the treatment of transactions even if there is a change in personnel handling the GST returns. We have well experienced tax professionals who can help you to implement good GST practices that are ideally tailored to the nature of you business. We can help you through the process of submitting GST by guiding you on accurate treatment of transactions. With our years of dealing with a diverse range of businesses we are familiar with the treatment of transaction and classification of supplies and purchases. Therefore with good practices and proper systems in place your susceptibility to errors will decline. The Accredited Tax professionals on board can help you perform the GST ASK Review annually and ensure your GST compliance as well as help you fulfill the requirements to apply or renew for specific GST Schemes. If you choose to perform you review in-house we can also certify the review after a exhaustive evaluation. Need help with your GST ASK Review? Liaise with a dedicated specialist when you engage us for our taxation services. Our tax specialists will attend to every step of your review thoroughly.